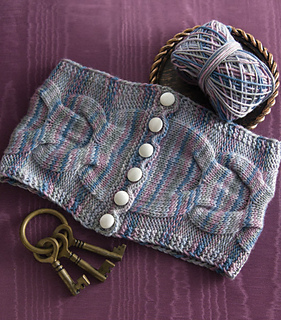 A wide interlocking cable encircles this cowl that closes with six delicate buttons. Errata: The book is missing Row 7. Row 7 is the same as the odd number rows.